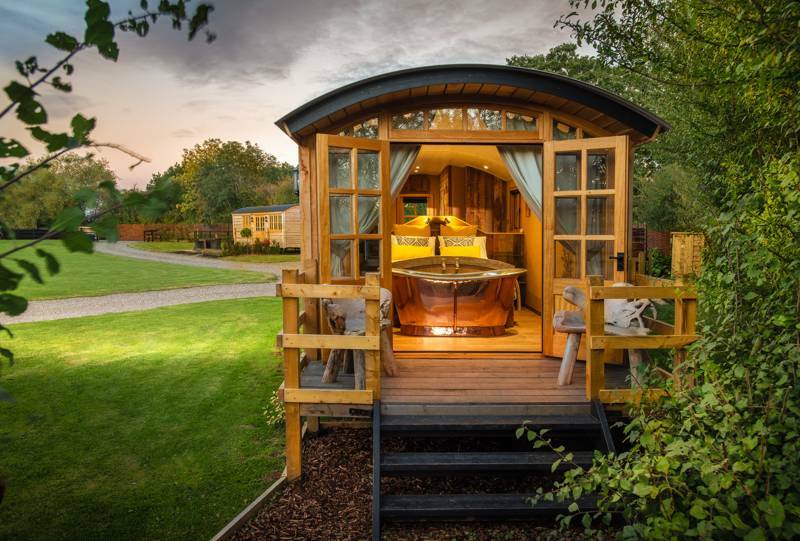 Glamping in Worcestershire has come of age and there are now more glampsites than ever in this country of rolling hills and winding rivers. 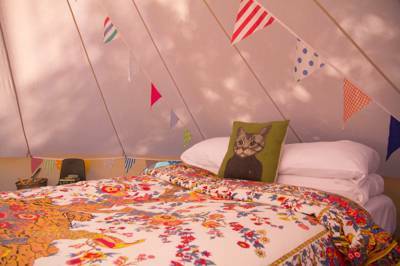 Tipis, yurts, shepherd's huts, gypsy wagons, glamping pods and safari tents can all be found, decked from top to tail in varied levels of luxury. 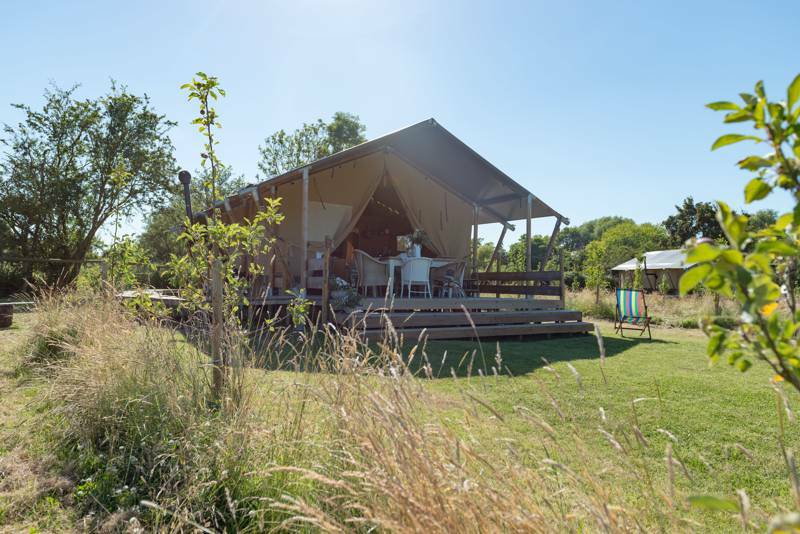 Each safari tent has a fire pit, barbecue, and picnic bench on a covered balcony. It also features its own kitchen shed which holds a gas burner for cooking, a barbecue, kettle, plates, cutlery, utensils, frying pan, saucepan, glasses and mugs, cool box with ice packs, fire blanket and carbon monoxide detector.Unfortunately, we do not accept dogs. 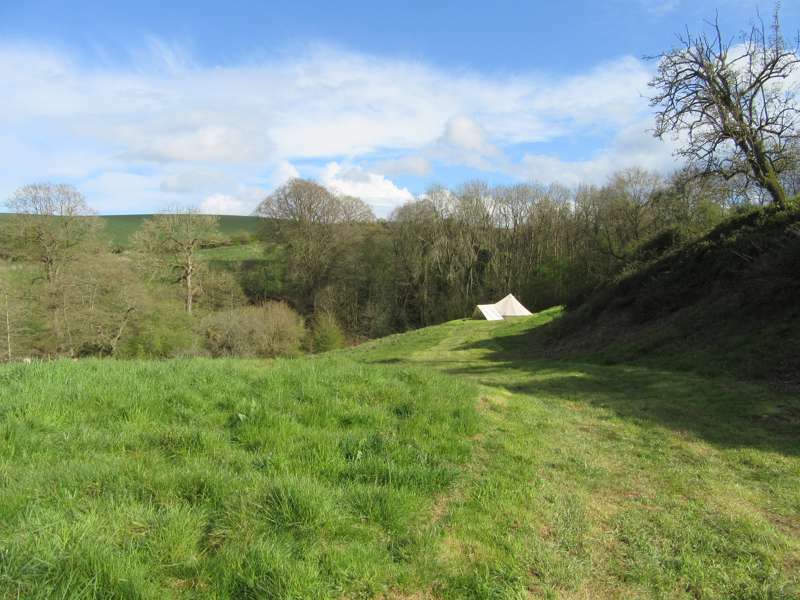 Fully furnished bell tent set on individual plateaus on the east facing slope of the valley. 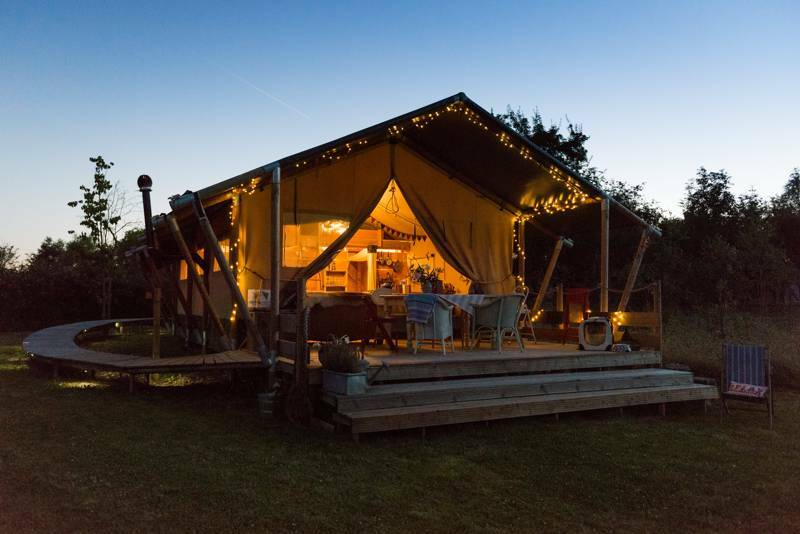 They have everything you need and they also come complete with a wood burning stove, fire pit, grill, kettle and a cooking tripod with a Dutch Oven. 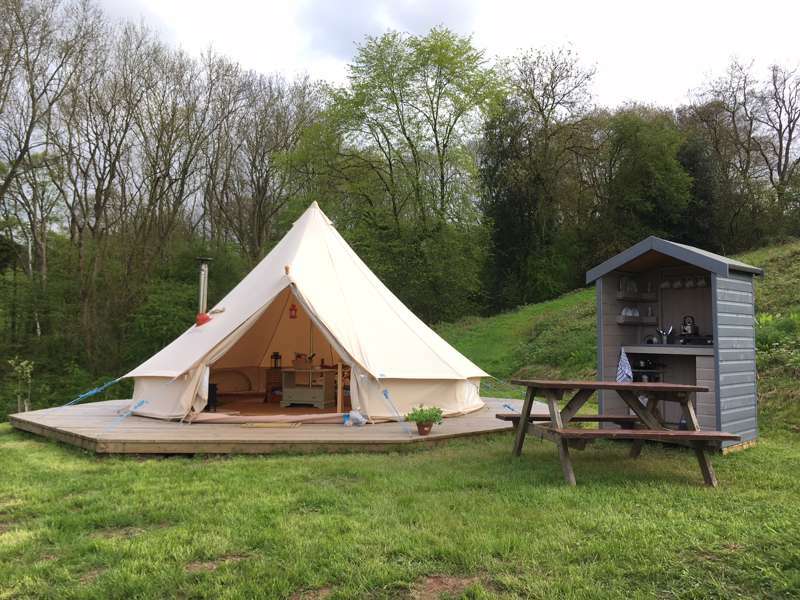 There is a double bed, plus camping beds available upon request for extra guests. 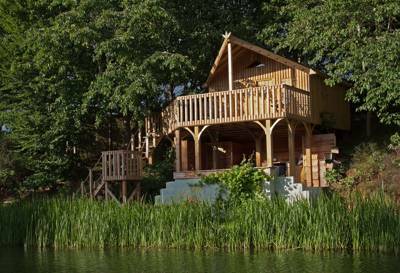 We are proud to offer you the opportunity to enjoy our absolutely stunning elevated Tree House. 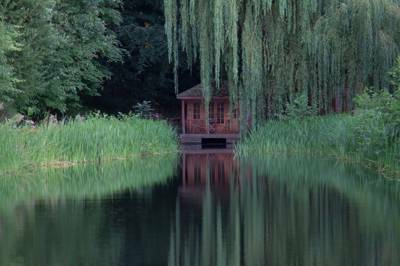 Cosy timber cabin overlooking the trout pool. Have the entire site to yourself! 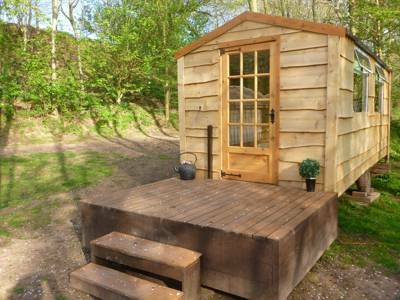 Our glamping lodge built in canvas, and raw timber, fitted with everything you need for your holiday. 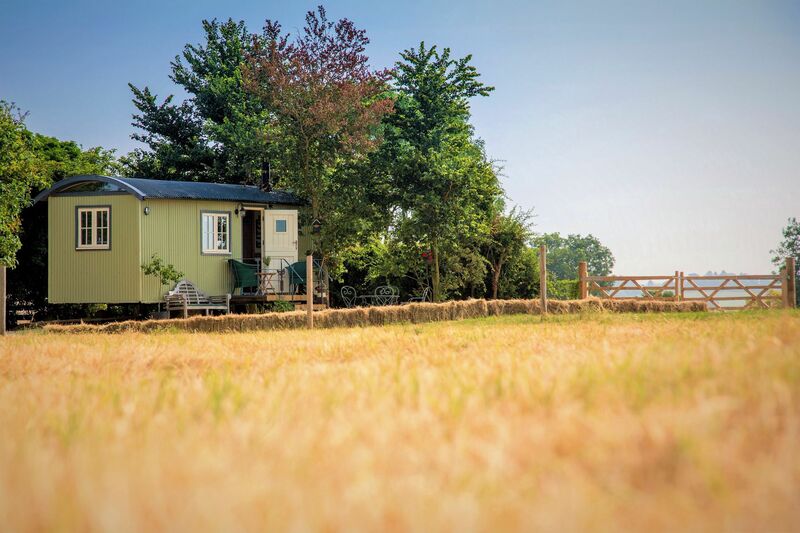 Boutique safari lodge, with a view over open fields with distant spires in amongst the fledgling Perry Orchard. 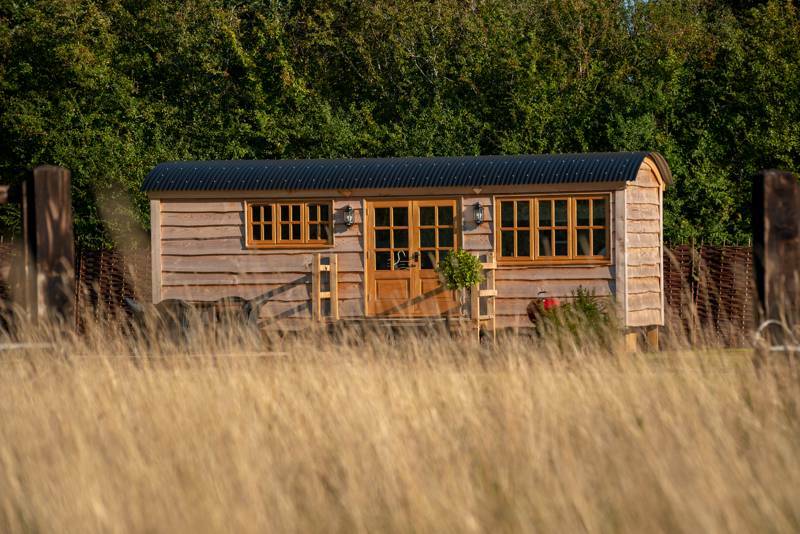 Our luxury Ashwood Shepherds Hut is the ultimate couples retreat. Kitted out with oak flooring, timber cladding and a hand crafted kitchen. 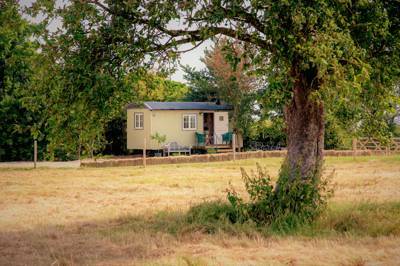 We have also provided you with a log burner and a comfortable king sized bed with ensuite wet room with a beautiful shower and underfloor heating throughout. 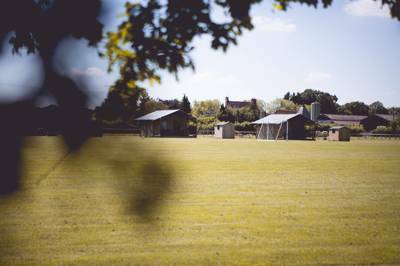 Glamping sites in Worcestershire, Worcestershire glampsites at Glamping in Worcestershire, Glamping in Worcestershire: Browse the best Worcestershire glamping sites, read reviews, check availability and book your glamping holiday at the best price.